At Boerne Air Conditioning Experts, we offer air conditioning maintenance programs that are designed to keep your systems working at peak efficiency. While preventative maintenance is often looked at as a waste of time by some homeowners, landlords and business owners, lack of preventative maintenance can truly take its toll. Maintenance programs bring with them piece of mind, long-term savings, and trouble-free operation. It’s important to note that you can prevent problems and costly emergency service requests by simply keeping your system well maintained. 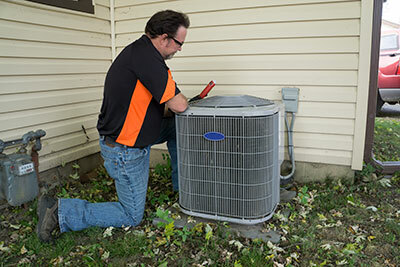 Typically, HVAC maintenance programs include much more than just a “check up” for your system. Our technicians provide tune ups with real value because your system will be precision tuned, checked, tested, monitored, and cleaned. Some additional benefits of AC maintenance programs include increased energy efficiency, extended equipment lifespan, improved air quality, and decreased cost for repairs. When it comes to energy efficiency, The National Institute of Building Sciences has reported that the use of high-performance HVAC equipment can result in considerable energy, emissions, and cost savings of between 10%-40%. Preventative maintenance and regular check ups will give your equipment the ability to run at peak performance, while also allowing you to benefit from lowered monthly utility bills and increased annual savings with energy efficient operations. 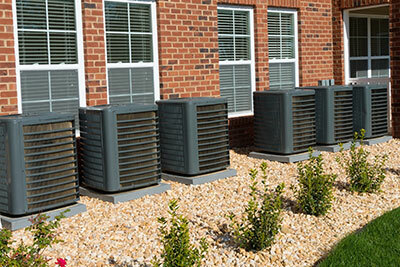 HVAC maintenance programs can also help to extend the lifespan of your equipment. Equipment that is clogged with dirt, dust, and grime has to work much harder and longer to create the same amount of cooling, which leads to early burnout and failure. Instead of spending money on preventable replacements and frequent component changes outs, spend smarter on preventive maintenance to extend the shelf life or your existing air conditioning equipment. You can also see improved air quality through regular maintenance programs. The quality of your indoor air can be easily affected by dirty coils and blower parts within your air conditioning unit. This can raise many health-related concerns, such as pollen, fungi and bacteria buildup, which you could end up breathing in on an everyday basis. This sort of buildup can also trigger asthma attacks, eye, nose, and throat irritation, indoor allergies, and flu-like illnesses. Regular cleaning of these components significantly reduces contamination of your airstream and makes for a healthier household and happier living environment. Last but not least, AC maintenance programs can help to cut the costs of potential repairs. Scheduling regular maintenance will greatly reduce the possible costly service down the road. While it’s impossible to avoid all HVAC repair situations, preventative maintenance and care can save you a lot of money on unanticipated cooling emergencies. At Boerne Air Conditioning Experts, we’ve learned that prevention is always been than repair. The benefits of AC maintenance programs are very telling, with all benefits assisting in saving money and saving time. If you’re still unsure about HVAC maintenance programs, just remember that scheduling pre-season maintenance prior to the warm, summer months will allow enough time for any necessary repairs to be completed prior to the serious change in temperatures.